As a reminder, in June 2013, the Senate passed a bipartisan immigration bill. And then that bill went nowhere in the House. If I recall correctly, the House leadership intended to work through the issues “piecemeal.” So far, the House hasn’t produced one piece of immigration legislation (although technically, the House can still act before December 31 of this year). “I hope he won’t do that because I do think it poisons the well for the opportunity to address a very important domestic issue,” McConnell added. This apparently hasn’t fazed the President, who declared that he intends to use executive action before the end of the year. While the President’s proposed action will surely enrage a few Republicans (can’t make everyone happy, right? ), here is the first thing that one learns in an introductory political science class: Congress can trump an executive order by passing legislation that is signed into law by the President. And that’s what the Bipartisan Policy Center’s immigration task force suggests that the Republicans do. 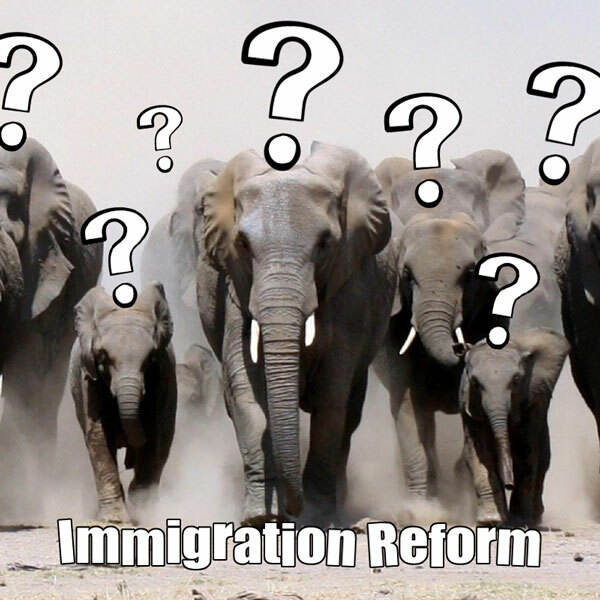 The last time that a Republican-controlled House passed a major immigration bill was the Legal Immigration Family Equity Act of 2000. I don’t think it’s going to be another 14 years until we see some major immigration legislation. But now we shall see how the Republicans handle great power and great responsibility.